AXIOMET inspection cameras available in TME offer have been extended to include three new devices. 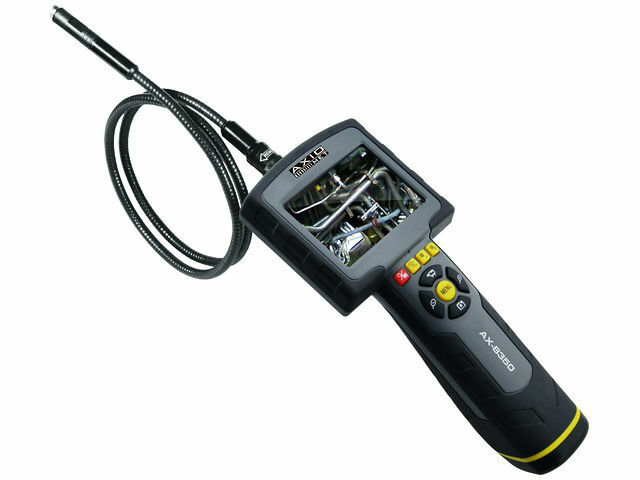 AX-B100 is a USB inspection camera that allows you to view an image in real time on a computer equipped with a USB 2.0 connector. Models AX-B150 and AX-B350 have their own colourful LCD screens with a diagonal measurement of 2.4” and 3.5” respectively. Both models allow you to rotate the image and its digital zoom x2 ( AX-B150 ) and x4 (AX -B350 ). All listed borescopes have a waterproof camera (IP67) with a diameter of 12mm with integrated LED diodes of adjustable luminous intensity. The camera AX-B350 additionally allows recording of photos and videos. Inspection cameras are the ideal devices for conducting inspections in hard to reach areas in the automotive, aerospace and shipbuilding industries, and in all air conditioning and ventilation systems.